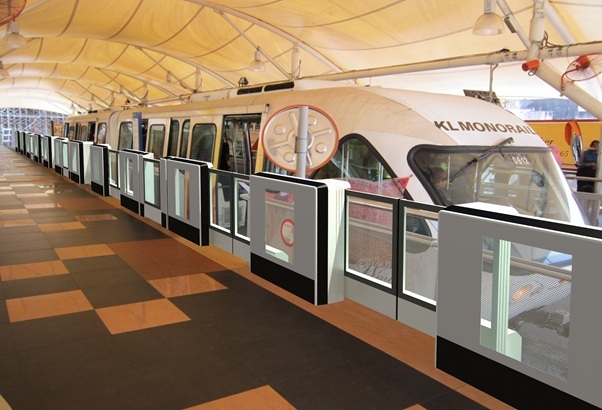 Previously Scomi Transit Projects Sdn Bhd (STP) was awarded a RM404 million contract to replace the monorail trains under the Kuala Lumpur Monorail Fleet Expansion Project (KLMFEP) by Prasarana Malaysia Bhd, the asset and project owner of KLMFEP. According to Prasarana Malaysia, STP has failed to adhere to the timeline as the project was scheduled to be completed in the year 2013. “The project is seriously overdue now and the delay will only add more trouble to the travelling public and the stakeholders,” said Prasarana Malaysia Bhd president and group chief executive officer Datuk Azmi Abdul Aziz. The delay of this project will increase the cost to maintain the current train’s inefficiencies, to ensure it is safe to be used and to maintain its standards. Given the project is implemented on time, the train would have been incorporated with advanced safety features and improved facilities for the disabled. Initiated under the Government’s National Key Results Area (Urban Public Transport) the contract to supply 12 sets of four-car monorail trains to replace the current two-car train sets which are servicing since 2003 was awarded to STP. Based on the principal contract, STP was required to hold an active performance bond until the completion of the project, which was renewed several times since the year 2011. The latest extension expired on 25th April 2016 and the firm failed to renew the bond within 14 days from 2nd June as instructed by Prasarana. Instead, STP obtained an ex-parte injunction order on 21st June to prevent Prasarana to from terminating the project. Prasarana has decided to challenge the court order and now in the midst of preparing for the legal proceedings. On the other hand, STP claims that the delays were caused by various issues which the firm had no control over. Hence, the firm is not liable for the delay. The firm further stated that no proper extension of time and prolongation cost was given, even though the firm was entitled to and the payment for the contract was not prompt as well. Currently, STP is ready to deliver the remaining train for the originally negotiated price and 12-month extension to complete the project if the payment totaling to RM365 million is paid promptly.